One of my favourite movies this year was Hayo Miayazaki’s The Wind Rises. It’s one of those simple stories that’s actually made of dozens of complex moving parts and that structure itself is also complex. It’s the story of one young man’s drive to make a creative mark on the world, his evolving view on how important that is, the Japanese mindset entering World War 2, a love story and a playful, melancholy exploration of the pioneer spirit. Oh and it’s also a warm, funny curtain call for one of the greatest modern film makers to have ever lived. I read Warbirds several months ago and I’ve been trying to process how I feel about it. The Wind Rises is the closest thing I have to an answer. 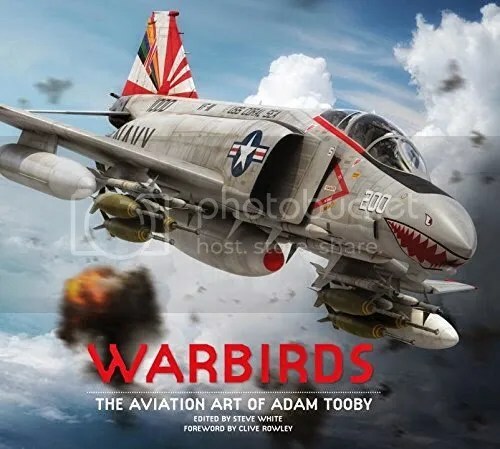 Warbirds collects the aviation art of Adam Tooby. Tooby has an extraordinary style, combining huge detail and precision with a tremendous eye for natural composition. Tooby’s style is particularly interesting as his career incorporates the rise of digital art as a form. He’s embraced it too, and the book’s most interesting sections deal with the painstaking levels of work Tooby puts into each piece. There’s an element of architecture to this as much as art, with each plane carefully assembled digitally, the components checked for scale and fit and then the levels of detailing, colour and shade being laid in over the top. It’s a weird, fascinating combination of art, draftsmanship and Computer Assisted Design and Tooby speaks about his process with tremendous eloquence and enthusiasm. He’s an artist who loves his work and has wholeheartedly embraced the new tools provided and the ways they enhance his work. It’s a surprisingly effective history book too. Tooby uses actual engagements as the basis for a lot of the work here and provides historical context for each image. What’s communicated most clearly by this is the remarkable hit and miss nature of aircraft design. Numerous planes depicted in the book were horrifically unfit for their designated mission and rotated out to another or proved so terrifyingly effective that they were used as a yardstick to measure other craft by for decades. Like The Wind Rises, there’s something equal parts awful and charming about the stop start nature of aeorspace engineering and Tooby, clearly passionate about aerospace history, speaks about engineers and pilots alike with wit and eloquence. The other similarity it shares with The Wind Rises is a fruitful unease at its subject matter. 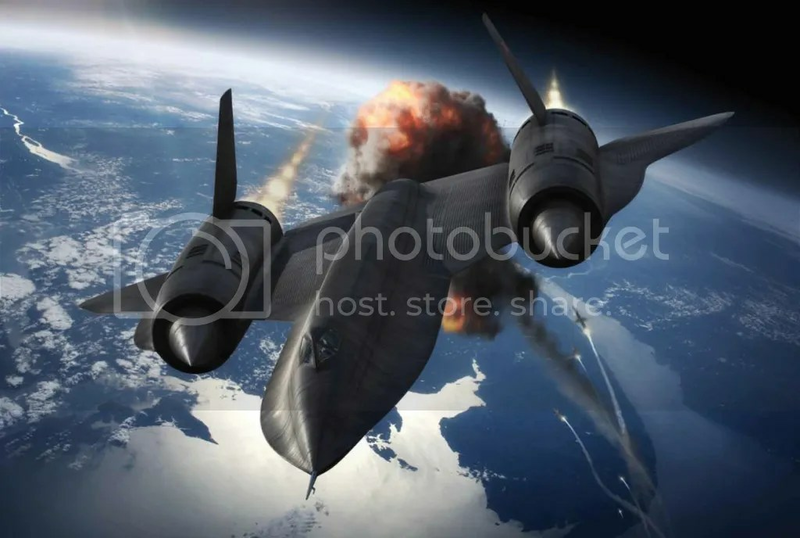 Tooby’s work is amazing; vast, expansive, highly detailed art that captures the planes and the graceful savagery of air combat perfectly. But just as Miyazaki’s movie never lets us forget that the beautiful planes at its heart are weapons, Tooby never lets us lose sight of the fact human lives were lost in and because of these planes. His artwork is intense and unrelenting, each of the planes working for a living instead of simply making beauty passes across his ‘camera’. They’re beautiful, certainly, but they’re beautiful the same way a well maintained sword is; elegant worksmanship, contained energy and the constant threat of violence. Tooby communicates them all with the same enthusiastic, precision-tooled eye and the result is a book of extraordinary detail, honoring the grace of its subjects but never looking away from what they’re used for. Like The Wind Rises, Tooby acknowledges both the beauty and brutality in his subject and creates something that acknowledges both. A remarkable collection of work from a remarkable artist.